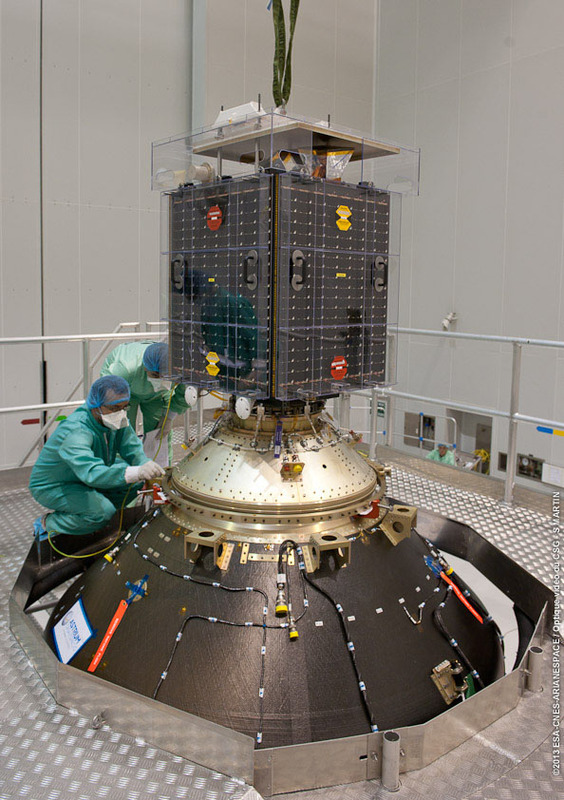 Look at the picture of a satellite being built. With their scrubs and masks, you’d be forgiven for thinking the people working on the space hardware were surgeons who had strayed into the wrong building. Yet the logic behind their attire is the same: minimising contamination. What if we sent a rover to Mars that was covered in bacteria? Or we drilled down through the ice to the vast oceans on Europa and accidentally left behind some microbes? Our knowledge of extremophiles has shown us that it is not beyond the realms of possibility that Earthly life could continue to live in these harsh conditions. What if the life we accidentally introduce kills off any native species before we’ve had a chance to find them? It works the other way too. There is a growing scientific appetite for sample return missions – those where robots (or people) go to planets, asteroids, comets and moons and bring back material to Earth for analysis. What if there is alien life resident on those objects and we inadvertently introduce it to our biosphere? It may thrive here, rapidly evolve and cause us no end of problems. For these reasons we are currently extremely careful about quarantining anything brought back from beyond Earth orbit. When the Apollo 11 astronauts returned from the Moon, they had to wear special biological containment suits when on the deck of the aircraft carrier that rescued them from their ocean splashdown. They then spent three weeks in a quarantine trailer to make sure they hadn’t brought any biological material back from the Moon. The return capsule used by the Apollo 11 astronauts, with the quarantine trailer they spent three weeks in following their return (the silver capsule in the background to the right of the orange capsule). Given these concerns, is bringing material back to Earth worth the risk? Are we doing enough to make sure we are safe?